Reflexology for Foot Care Specialists Diploma issued by Stonebridge Associated Colleges, to view a sample of the college’s award, please click here. The Register for Foot Health Professional (R.F.H.P) is a non-profit professional association for Foot Health Practitioners, who places practitioners on a register, making the public aware that the practitioner is trained to a high standard. 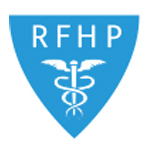 The R.F.H.P campaigns for, promotes and supports those who work and practice in the Foot Health Practitioner Industry. It reaches out to people who act as advocates for the Foot Health Profession and it anticipates and exceeds stakeholder expectations. Members are of all ages and come from a broad range of professional and personal backgrounds.